Forget what you know about Spain: this north-western region with its estuaries will surprise you. Away from the crowded destinations, it is known by its coastal and rural charm. You will find welcoming inhabitants, wonderful local seafood and wines and not to forget the history, architecture and the millenarian pilgrimage way to Santiago. Come to see it by yourself. We will be happy to help you plan your stay to make the most of the experience in our Holiday House Spain/Galicia. 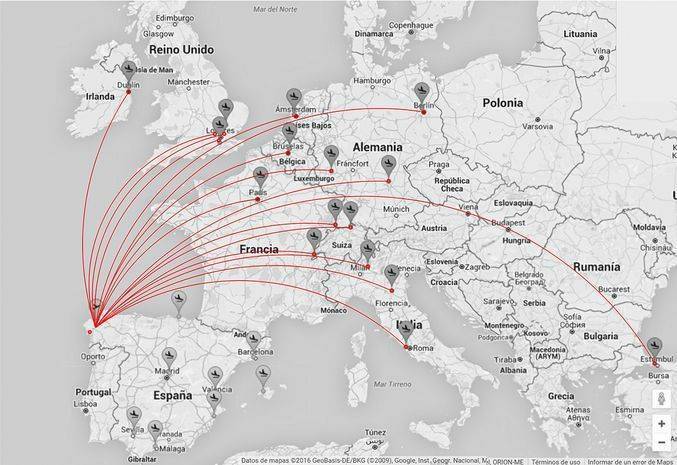 Santiago de Compostela Airport (SCQ) 71 km – 50 min. Vigo Airport (VGO) 88 km – 68 min. A Coruña Airport (LCG) 123 km – 92 min.